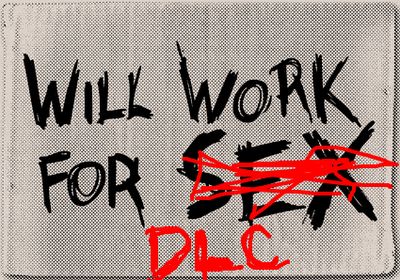 Image snagged from Game-Modo’s critique of Downloadable Content (DLC). There was a joy to opening a new game when I was a child; a sense of wonder, of challenge. Inside the box were manuals, maps, registration cards, discs, artwork. I could pour through the printed materials for hours in anticipation. On the way home from a trip to Maine, we pulled into garage sale or flea market. At one stall, I oohed and ahhed at the worn box of Might & Magic III, which, while open, boasted the game, the accoutrements, and a strategy guide. Somehow, whether through begging or simply out of the kindness of their hearts, the tattered box found its way into my loving arms. The entire ride home, I perused every inch of that strategy guide, learning key plot points, tips and tricks, quest solutions. 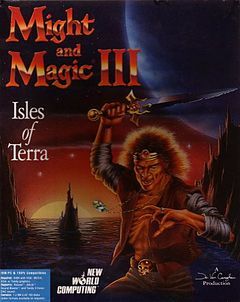 I had yet to even see the game in action and I was becoming expert in all things inhabiting the Isles of Terra out of pure and utter fascination. I bolted as we pulled into the driveway. I unpacked clothes as loading screens slowly unpacked the multiple floppy disks of data. I ached to hear the slight buzz of my sound card letting me know when I was needed to pray at the altar of the floppy drive, ejecting and inserting in the proper ritual order. I would salivate and juke Pavlovian, shuffling the disks from in pile to out pile by way of the gaping maw of the drive. Appeased, the computational gods would reward me with glowing graphics, audible sounds and music, and stupendous tales of daring do. It was a series of events that would replay themselves often over the course of my life. Get a new game, dig through the documentation, flip disk after disk after disc after disc, and then delve into the murky depths of ones and zeros splayed across my screen in a panoply of pixels. Console games were less work, but generally less deep and rewarding, and certainly including far less fanfare. Their plastic cases barebones but a manual and disc, the instructional leaflet small and generally useless compared to the epic tomes of PC Gaming. Still, the allure of gaming literature took hold. When I rented games at blockbuster, I was doubly excited when a manual was included. So many cases were devoid. So many more experienced the same fate when I returned them. I amassed a shoebox full of manuals and maps. Slowly, the shoebox spilled over to a dresser drawer, and soon it threatened shelf space. Most of the games, I didn’t even own, or at least didn’t own anymore. Some manuals were empty, useless pages filled with controls I already knew by heart. Others contained small comics, or poorly written conjecture trying to explain why a plumber/hedgehog/greek god/airplane would be battling/saving/collecting/hunting wizards/snowflakes/giant eggs/hellspawn that inevitably led to my believing that all game designers were on some sort of drugs. The collection was futile. These useless pages were simply a small piece, a reminder, a trophy from this long forgotten game. When I went to college, I was forced to examine which trappings of my childhood would survive the reaping. The manuals, logically, had to go. The pile dwindled as I sifted through it. Manuals for systems and games I no longer owned slid directly into their plastic, bag-lined casket. The useless ones I would never read disappeared right after. Finally, I was left only with those that hit my personal start button and gave me enough pause to hesitate. Without them, the games would be incomplete. Might & Magic IV and V were really one game split into two releases. In addition to requiring a collection of floppies during the install, they required separate purchases on separate release dates and separate installs. The two then merged perfectly on my hard drive to allow me to leap from Clouds of Xeen to the Dark Side of Xeen via pyramids built-in to the juxtaposed sides of a singular overarching story. Loading up, the title screen offered new graphics boasting not the titles of two games, but the singular World of Xeen. The same series which harpooned me and dragged me into the world of PC gaming had done something else I had never seen. It offered a great game, teased a cliffhanger ending, and then released a second half. It was the essence of episodic content, of DLC. IV & V weren’t sequels. They didn’t happen consecutively, though they could be experienced that way; they happened concurrently and allowed me to play as such. I conspired with my best friend at the time, studied bus schedules and scrimped and saved the money I was making doing chores while I waited for the release of V. On a cloudy day. I hopped two busses to get two towns over to the CompUSA and began my ritual injection of game lit. I tucked the booklets under my jacket as I walked back out into the first raindrops. I held them so I could still read as I stumbled across an empty parking lot back to the bus stop and rode home atwitter. Each Might & Magic came with its own map. The maps had legible coordinates and could actually be used to find my way around the world. They offered hints at where to go and what I might find, though always vague and mysterious. They let my imagination run across their borders and into the stars. I stare at the little scrolling banner on the bottom of my screen. The Borderlands 2 menu is covering the rest, but my eyes gravitate toward the everchanging piece of flare glued at the base. There’s new Downloadable Content (DLC) out, it says. There’s more on its way. I could be playing other classes or trying out new plots. There’s more wonderfulness that I don’t have. I shake off the voices and load the game. My friend calls through the headset and we head off to shoot some foes in a maddeningly over-the-top manner while recordings frenetically spout insane, twisted mockings. Each enemy spits collectable rewards: new weapons, new shields, new grenades, new faces, new skins. Among the faces and skins are highlighted ones indicating I don’t have the required DLC. Why don’t I have the required DLC? I could be playing as a Mechromancer. I could be getting legendary weapons while killing legendary beasts in Sir Hammerlock’s DLC. I could be killing new and interesting things in new and interesting places with new and interesting people. Don’t I want to be experiencing these things? Don’t I want to have all of it there at my fingertips? With a click of a button, without even leaving the game, the Steam store window superimposes itself on my screen, the DLC listed, with prices, just a few more clicks away. My friend tells me the premium classes are a bit stronger, a bit more fun, though I still haven’t played through the game with all the classes that came with the base game. The internet shows me awesome videos of how funny and entertaining the latest and greatest campaign for Fallout 3 would be, though I’d probably just start a new game, get tired of it since I’ve played it, and quit before I reach the DLC. The Steam store shows me ads for DLC when it releases for game, often offering sales, though I don’t really want to spend my money on that right now. There’s new DLC maps for multiplayer, new DLC stories for single player, new DLC outfits so I can play dress-up while I play my game, new DLC tweaks that make the game better, new DLC exclusive parts to the whole I thought I purchased. My mouse hovers over the add-to-cart button. Without them, I would be incomplete.